Angelica essential oil card has been added to the DIY Love It, Share It card page. This entry was posted in Care Club, Love It, Share It, Marketing Material, YL Single Oil and tagged Care Club, Essential oils, Love it Share it, Marketing Material, Printables, Samples, Sharing, The Oil Posse, The Oil Posse Team, Young Living on April 12, 2016 by Jordyn Lei. This printable is brought to you by customer request. We thought this was such a fabulous idea that we put it at the top of our developing list. Use this printable to record your favorite essential oil recipe. The notes section is there so you can make notes about findings when making the recipe; such as, if you like or dislike, if the recipe needed any adjustments, etc. Please do not alter the page design in any form or fashion. Please do not share this as a graphic, instead share the link to this page. Please respect the time and work we have put into making these for you all, at no charge. All we ask is that you provide a link to this page when sharing. Please ensure you have read our disclaimer page by clicking/touching here. The link to download a full page of the labels can be found below. Click/Touch here to go to our printables page. You should find this toward the bottom of the page. The printables are added in “older to newer” order. Scroll down to find the PDF file for this printable. This entry was posted in Daily Planner, DIY, Essential Oils, Marketing Material, Planner, YL Planner, YL Recipes and tagged Essential oils, Marketing Material, My Oily Recipes, Organizer, Planner, Printables, The Oil Posse, Young Living on March 24, 2016 by Jordyn Lei. 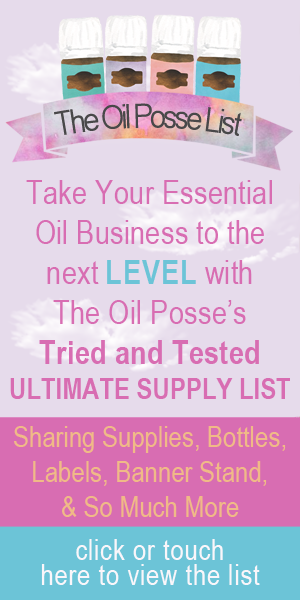 The Oil Posse team has revamped and brought back one of our most popular business tools . . . the 55 uses flyer! This entry was posted in Essential Oils, Flyer, Marketing Material, PSK, Vendor Events and tagged 55 Uses, Essential oils, flyer, Marketing Material, Printables, PSK, The Oil Posse, Young Living on February 6, 2016 by Jordyn Lei. A Love It, Share It card for Balance Complete has now been added to the “Infused Products” page. This entry was posted in Care Club, DIY, Love It, Share It, Marketing Material, YL Infused Products and tagged Care Club, diy, Essential oils, Love it Share it, Marketing Material, Printables, Samples, Sharing, The Oil Posse on February 3, 2016 by Jordyn Lei. We are designing a series called “My Financial Freedom” and this is the first part — business builder tracker! There is a page for January through April, May through August, and September through December. When you hop over to the “Full-Size” planner page, be sure you get all three pages. We cannot WAIT for you to see the rest of the pages coming for this series!! Enjoy. This entry was posted in Daily Planner, Lifestyle, Marketing Material, My Financial Freedom, Planner, YL Planner and tagged 2016, ARC Notebook System, diy, Organizer, Planner, Printables, Staples, The Oil Posse, Young Living on January 27, 2016 by Jordyn Lei. Here is a long overdue page — by great demand we present you with “My Oily Inventory: the supplements” — and, yes, there will be one for personal care and household products very, very soon. Enjoy. This entry was posted in Daily Planner, DIY, Lifestyle, Planner, YL Planner, YL Supplements and tagged 2016, Essential oils, My Oily Inventory, Organizer, Planner, Printables, Staples, Supplements, The Oil Posse, Young Living on January 26, 2016 by Jordyn Lei.